Owning rental property can be a great way to earn money, whether it becomes your full time job or just an avenue for extra income. However, if you jump into ownership without going through the proper steps, your income generator could turn into a major financial drain. Start by working with the right real estate agents in Atlanta who can help you find a profitable property. As you enter the real estate market, keep these tips in mind. 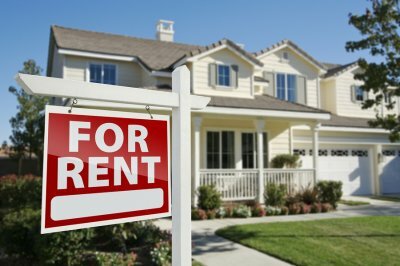 Even if you have heard that a particular area is about to see an increase in demand for rental properties, don’t try to conquer the rental market in an area you don’t know. If you choose an area that you aren’t familiar with, you may overestimate the desirability of the community, or you may not know what kind of tenant you should target. Real estate agents can educate you about the current market trends, but it also helps for you to have your own knowledge of the area to guide your investments. When you’re deciding how much rent to charge for the property, be sure not to short change yourself. Covering your mortgage is not the only element to worry about as there are other fees associated with owning rental properties , from taxes to management. You will also need a cushion for when unexpected repairs are needed or for when the property is vacant. Talk to an agent to determine the right amount of rent to charge that fits the market and covers all of your expenses. A residential property management firm is one of the smartest investments a landlord can make. Property management companies can perform tenant screening services, provide maintenance, and collect rent on your behalf. They know the law in your area and can help you handle issues like leases and evictions in the right way. By working closely with your property manager, you can ensure that your investment is protected.